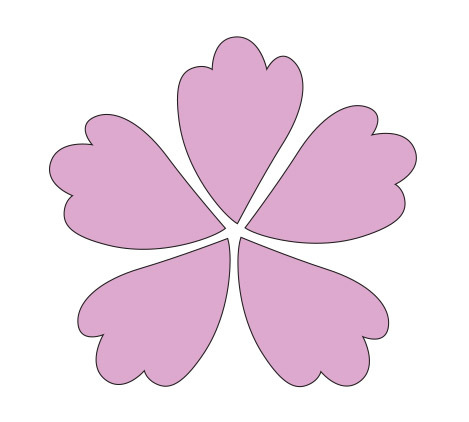 Fresh flowers quickly wilt, but printable flowers and flower petals can be used to create a number of special keepsakes. 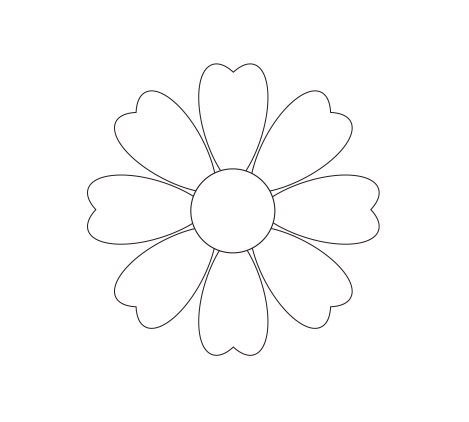 Whether you're searching for an idea for your next craft session or in need of a child-friendly art project, printable flowers open up a world of possibilities. 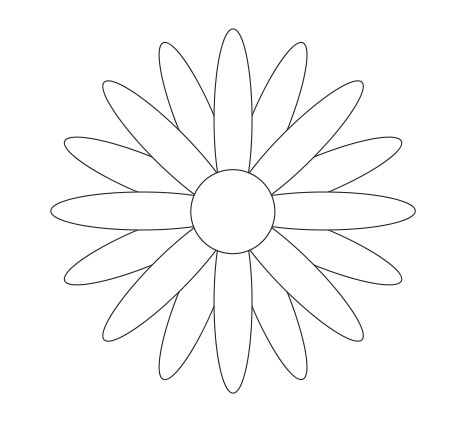 Click on the image of the flower you want to use to open it, then save it to your computer and print it out. 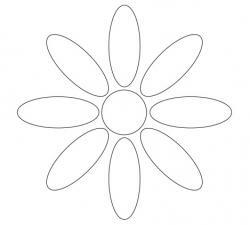 In most cases, white cardstock is best for flowers you plan to color yourself. If you're printing colored flowers, photo paper gives them a pleasant glossy finish. 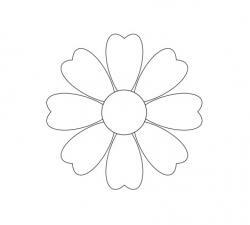 Use the flowers as embellishments for a scrapbook layout by adhering with foam adhesive squares. 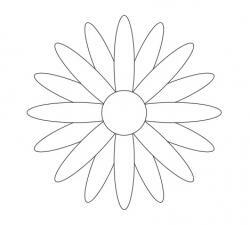 Layer two flowers on top of each other and curl the upper flower's petals for a 3D effect. Turn flowers into cute accents for handmade greeting cards by adding colorful brads or rhinestones to the center. 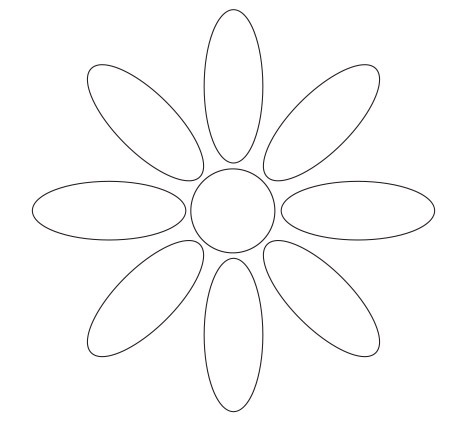 Make a festive table centerpiece by adding cut out printable flowers to stems made from green pipe cleaners. Arrange the flowers in a vase made from a tin can decorated with your favorite patterned scrapbook paper or printable decoupage papers. Glue flowers to a large sheet of construction paper, add a special saying with letter stickers, and laminate the finished product to make unique placemats for a picnic. Use ribbon and your favorite flowers to decorate paper plates or cups filled with homemade cookies, candies, or other sweet treats. 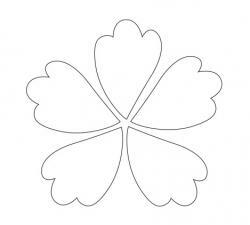 Make a dress up crown for a child by cutting a long, thin rectangle the length of the circumference of the child's head. Tape the ends of the rectangle together to form a circle. 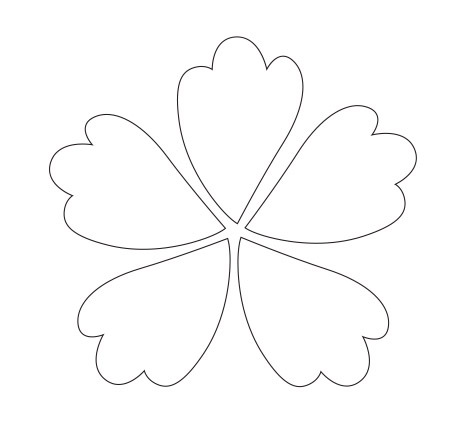 Glue flowers around the entire length of the rectangle, overlapping slightly. If desired, add extra sparkle by decorating the crown with a thin coat of glitter glue. 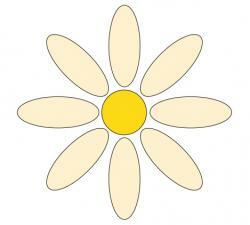 Girl Scouts in grades K-1 often use printable daisy petals in lessons about the key principles of scouting. 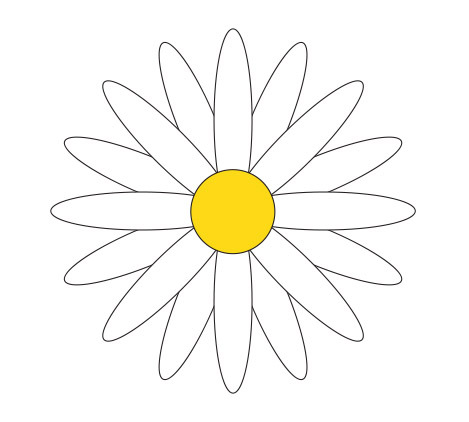 Each petal is used to represent a specific value, such as being honest and fair, friendly and helpful, or considerate and caring. 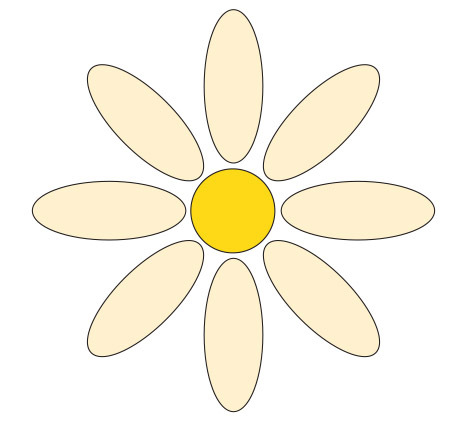 The Girl Scouts website has additional information about the role of the Promise Center and Learning Petals for Girl Scout Daisies. Since free printables can be used an unlimited number of times, they offer a wide array of crafting possibilities. 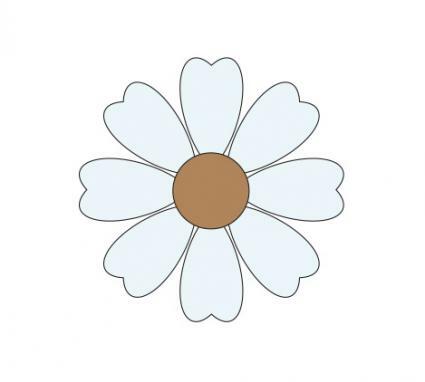 Try printing on different papers, adjusting the size of the clip art images in your favorite graphics software, or using different art mediums such as watercolors or oil pastels to add color to the black and white images.